My Secret to Getting out of A Crappy Mood! It's time to get your joy back! Make this day the day that you stop feeling down, stop feeling depressed, stop feeling worthless. I know times seem rough and you may feel like there is no way out but if you keep the faith, hold on to all things that are good, I promise you...NO...GOD PROMISES YOU that he will give you all that joy back, times 10! Earlier this week I was really down in the dumps feeling hopeless. Feeling as if I wasn't good enough...yes even I felt I wasn't good enough! I moped for about a couple of days I admit but then something in my mind said "Are you gonna really stay like this forever?" I had to think to myself "Well its not much I can do about this situation, whats the purpose in being happy when it all just gonna come crashing down again." Something in my conscious said "So you rather just mope around about this problem and just be miserable." In my own negativity I was like YES...I do! This got me thinking hard. I'm making a conscious decision to be sad! I'm making my day miserable instead of making my day full of happiness and love. Right then and there I had to make a conscious decision to break away from that thought process! I don't want to stay in my negativity and YOU shouldn't either! Make a conscious effort to break away from the negativity, the sadness, depression, anger, that you feel. Begin to see life in a whole new way. Crawl away from that dark spot that had you bound. Unlock that prison that held you captive. Get out of that rut that had you in a corner crying! Its time to take back your life and begin again! 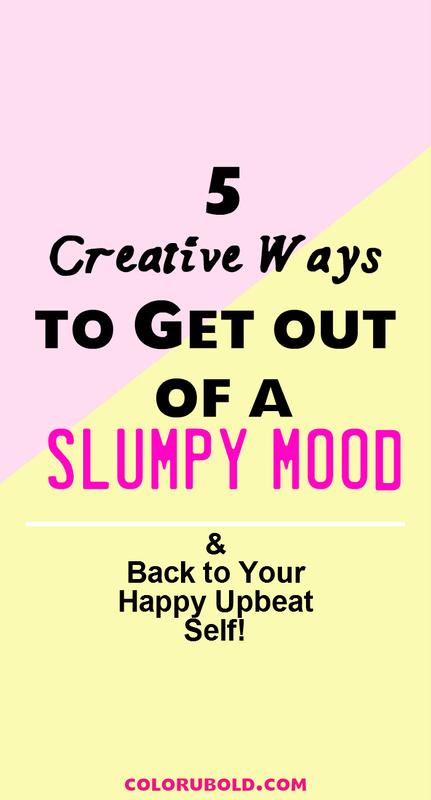 Here are 5 easy tips to get you back on your feet and off that ground! These tips has helped me a lot! 1.Get yourself a Book and Get happy! My fave is Live Your Best Life Now by Joel Olsteen. An phenomenal preacher and motivational speaker! Every time I read a chapter from this book it ALWAYS gets me in a better mood! 2.Shake it off...Get Moving People! Exercise is a great stress reliever, especially if it evolves something fun like dancing, biking, or swimming (maybe not in the cold though)! When I'm feeling down I get up! For 10 mins I just start dancing around to my favorite song, right now its...Shake it off by Taylor Swift, check it out here! Ahhh my favorite past time. Look up some funny channels, like Shane Dawson, check it out here, he has a crazy sense of humor but he is an amazing person! NO, I don't mean talk about your issues, we're trying to get out of that rut remember! Plus sometimes Friends or family members can only make it worse. No I mean JUST TALK, LAUGH, ENJOY THE COMPANY OF OTHERS! Getting around other people will make you so much happier. Even though I like to keep to myself I got to admit it doesn't really help staying to yourself all the time. Especially when you are in a rut! So now that I told you what I like to do to get out of my rut. Tell Me Yours! Looooove this! I got my joy back this week. Aw, how could I ever let someone steal it away I don't know. To get out of a slump I put on Pharrell Williams' song titled Happy..... How can you not be wanting to clap and bounce around after hearing that song a few times! I had actually never heard of the book Your Best Life Now before, but I just downloaded a free sample and read the first chapter, and I already feel inspired. I think I'll make it a goal to read a chapter of this book everyday to inspire and uplift me. When I'm feeling down I turn up the music, and sing along and dance crazy :) I especially love Beyonce's selfconfident songs, they always make me feel better. Lovely post I have herd about that book but never got my hands on one before. Really excellent post.